When fashion and art team up the result is definitely creative or at least inspirational. But when those two forces come together for a noble reason, the result could be nothing less than superb. 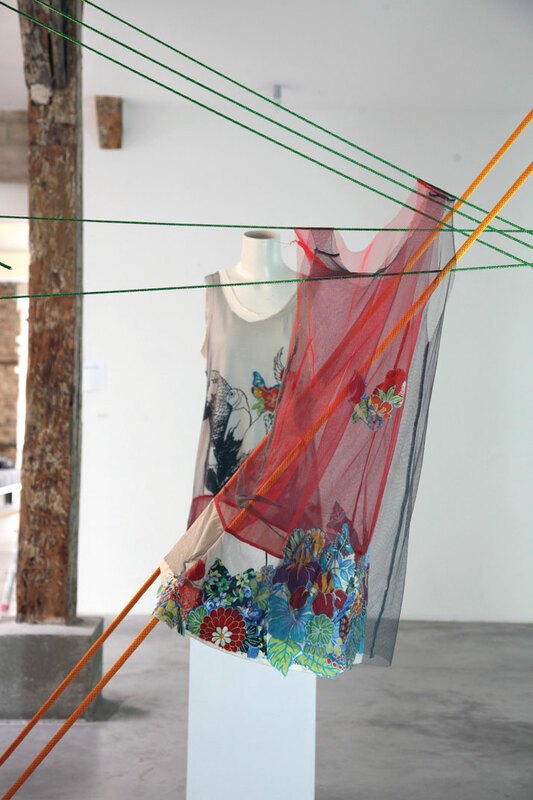 Pulling together a group of renowned fashion designers, Australian Company Cara & Co puts up ‘Synergy of Art & Fashion’ exhibition, which will be presented at the up-coming Vendôme Luxury Fair in Paris (4 - 7 March 2011). The show will travel to different cities around the world including Moscow, Sydney, Seoul, Shangai and Berlin with all the profits made by the private auction sale of the final exhibition to go to Cara & Co charity organization “The Sound World”. Originality, anti-conformism and true love for style with no logo confines or blind attachment to just a brand name, Cara & Co ’s philosophy stands for authenticity and an electrifying blend of art and fashion. “NO LOGOS FASHION ONLY” the company’s motto, is perfectly incorporated in ‘Synergy of Art & Fashion’ exhibition which makes the show a 2011 highlight which needs to be watched! 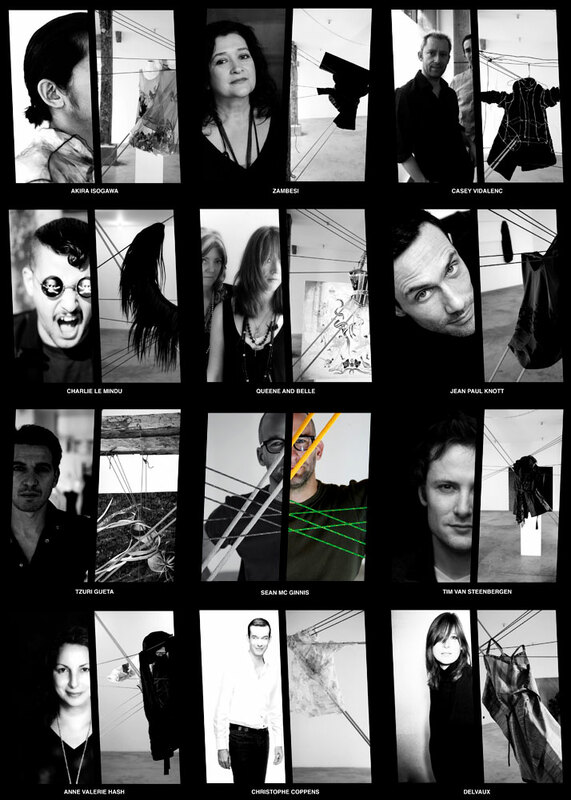 Eleven fashion designers such as Jean-Paul Knott, Charlie Le Mindu, Anne Valerie Hash, Christophe Coppens, Tim Van Steenbergen, Akira Isogawa, Casey Vidalenc, Queen and Belle, Tzuri Gueta, Zambesi and Delvaux have been given Carte Blance to create one garment and a wall art piece especially for the exhibition. 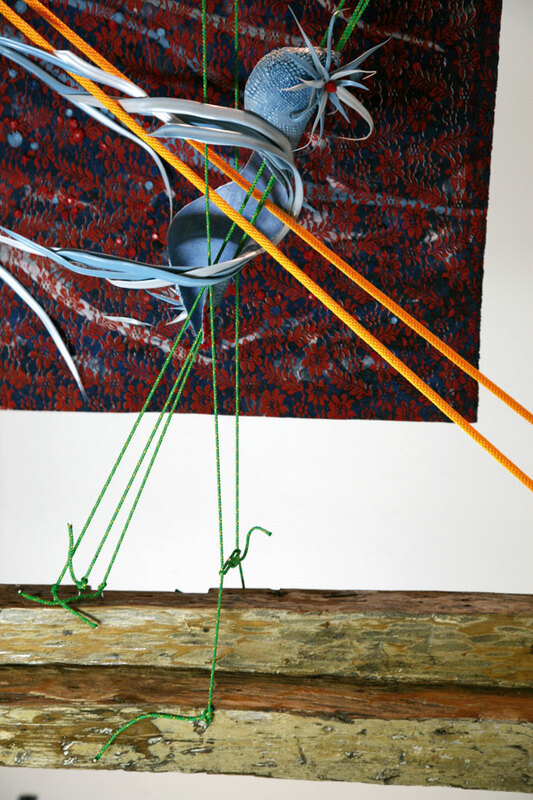 The creations of the fashion designers will be hung on American sculptor Sean McGinnis' installation, which is a 100% natural artistic intervention. This ethereal installation of strings and industrially woven ropes made by the American sculptor and art director of the exhibition is magnetizing! 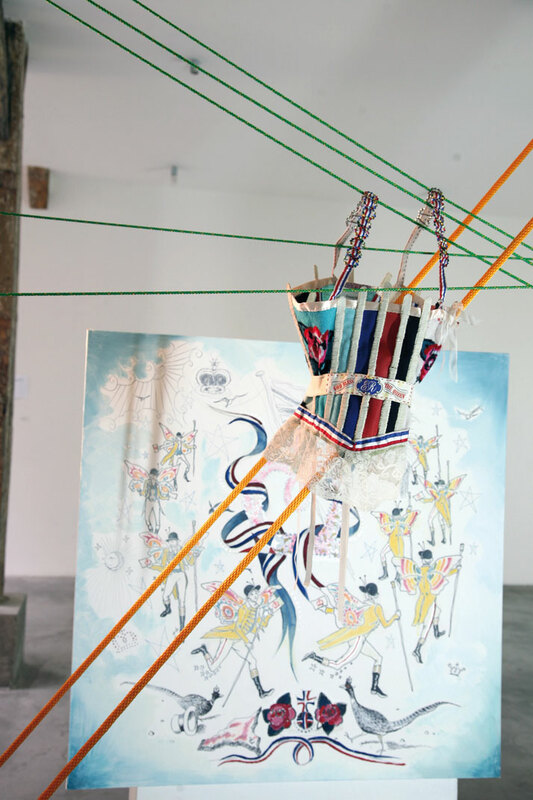 It’s not only an installation, which transforms the inner space where the garments will be presented but it also provides a welcome theatrical addition to the designs themselves. 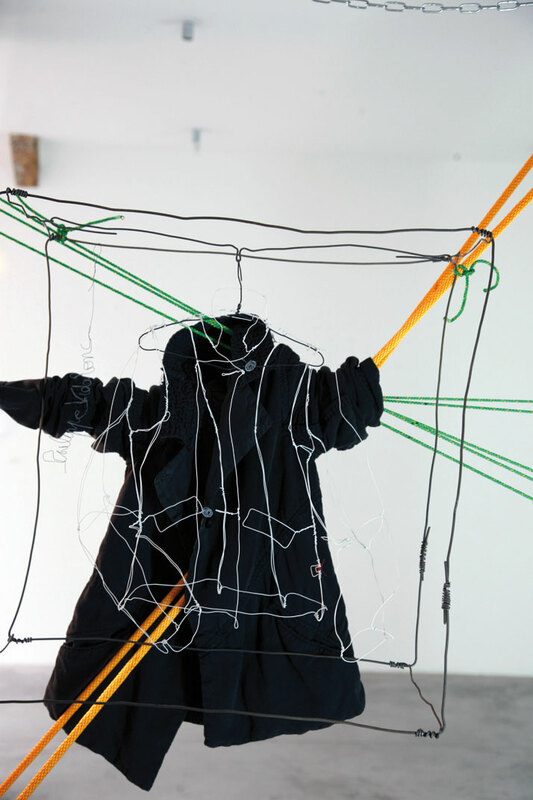 The strings and the woven ropes offer an unparallel movement to the garments, which are like as they start to live and breath within the exhibit. The talented designers participating in ‘Synergy of Art & Fashion’ give their best and each one of them bring their own unique influences, style and practices. For example Kyoto born, fashion designer Akira Isogawa is inspired from contemporary Japanese design whereas French designer Anne Valerie Hash’s style is built upon a strong and focused research on fabrics. 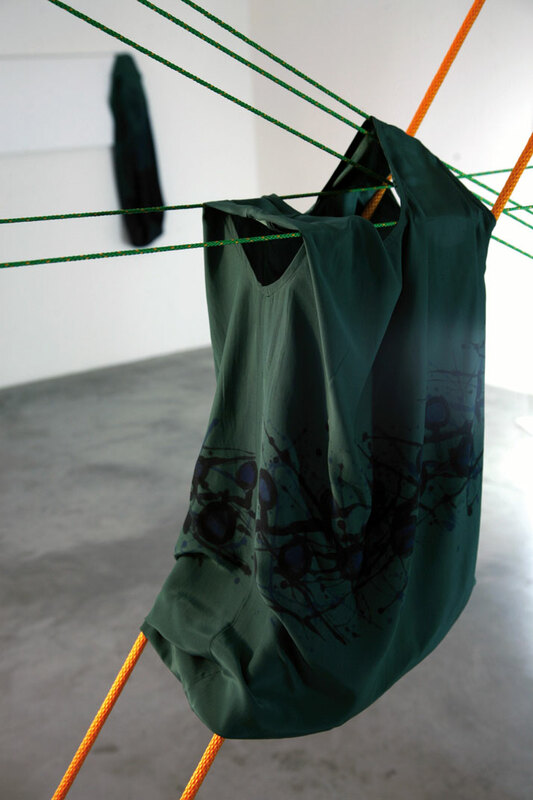 In the exhibition, people will experience each design and its powerful concept in all its entity. Casey Vidalenc’s pieces, which are 100% handmade including even the handwritten labels, offer a rare and almost intimate luxury. 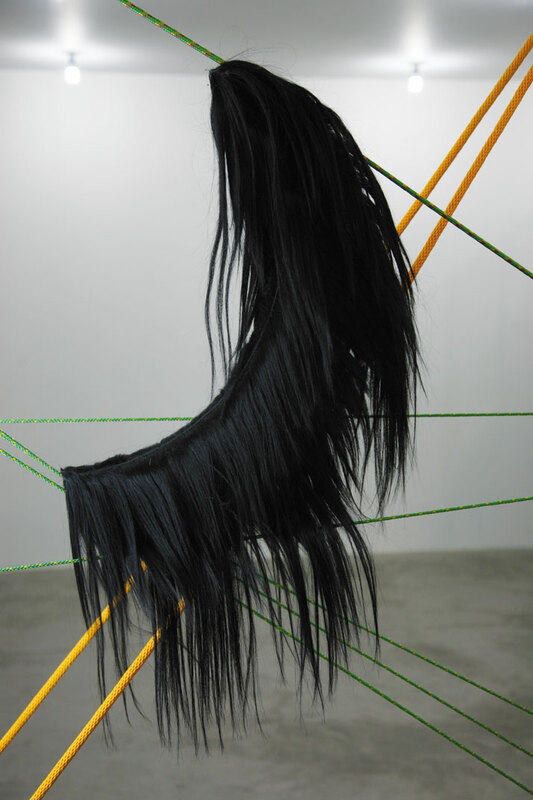 Also, Charlie Le Mindu’s hair designs are interesting assemblages, which are reminiscent of contemporary sculptural pieces. At the same time, the theatrical background of Chistophe Coppens and the fine art background of Tim Van Steenbergen produce an interesting balance. The leather luxury goods by Delvaux made by even handmade tools further add supreme value to the show while the monochromatic colors used by Zambesi , the androgynous allure praised by Jean Paul Knott and the elegant cashmere creations of Queen and Belle are welcome interactions. Finally, Tzuri Gueta’s accessories resemble nature’s small miracles, combining futuristic and organic elements. In April 2007 Australian Company, Cara & Co, opens its first store in Russia. Neither a boutique, nor a department store, Cara & Co becomes the first concept Store in Moscow combining fashion, art, food and music all into one unique space. This truly inspiring store is located in the heart of the city’s Winzavod Contemporary Art Centre, which is surrounded by old factories transformed into art gallery spaces. Founded by fashion visionary and philanthropist Rozalia Alpert and brought to life by Creative Director Alexey Oleshov – Cara & Cos ideology is built on an extensive fashion research and buying philosophy that selects the most cutting edge international designers before they inevitably become mainstream.